If you are the owner of a small or large business, you are likely realizing how the bigger your business gets, the more money and resources it takes to keep your operation growing. This is, of course, a natural progression and a good sign for your business. If you are currently trying to decide whether or not it’s time to outsource your cleaning needs to a professional janitorial service, today’s blog is for you. When you are trying to make this decision, it is important to not only consider the initial upfront costs but also the long-term savings that come from partnering with an experienced commercial cleaning company. If you are in the San Antonio area and considering outsourcing your janitorial services, we have the perfect solution for you — contact 1st Call Cleaning Services! We are so confident in our cleaning services that we offer free 14-day trials, and we never require our clients to sign a contract, which means you can cancel at any time for no costs. Learn more about us and give us a call today at 210-504-3415. When it comes to building maintenance, it’s easy for small problems to morph into big problems. This, of course, then necessitates big, timely, and costly repairs. Regular maintenance and cleaning helps you identify and address these small problems before they turn into larger and more expensive problems. Take flooring, for example. If you have something spilled on your carpet, cleaning and treating your carpet before the stain becomes embedded within the fibers of your carpet can save you from eventually having to replace your carpet in order to remove the stain. It’s hard to fully quantify the role your business’ appearance has on your customers, but it’s safe to say, it certainly makes a difference. When a customer walks into your place of business and sees a nice, clean, and organized facility, they naturally begin to have a more favorable impression of your business — whether or not they made a conscious decision to do it or not. This can be especially important in key areas like the bathroom. No one wants to go into a bathroom and find that there is no toilet paper or that the bathroom resembles the worst truckstop imaginable. Making the cleanliness of your facility a priority will signal to your customers that their satisfaction is a priority to you, thereby, improving your business and bottom line. Although some people may work better in a chaotic and disordered environment, this is not the case for most of us. Most employees prefer a clean and organized work environment. As we mentioned in our last blog, most people seem to get a jolt after their workspace is cleaned and organized. 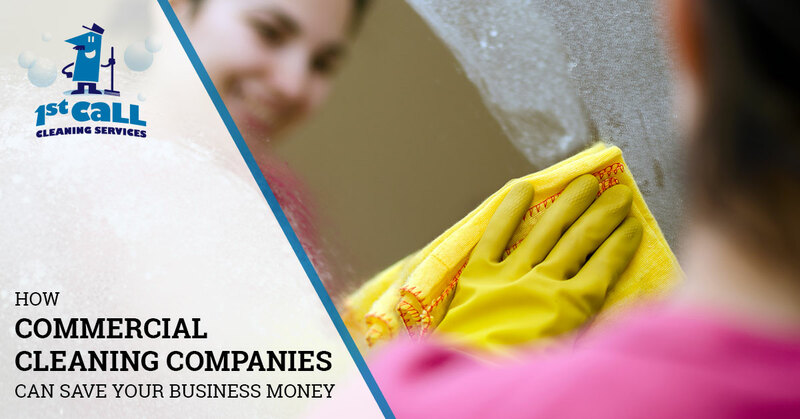 This is one of the great benefits of partnering with a cleaning company. They can ensure that your facility is routinely cleaned and kept in optimal condition, allowing for you and your employees to focus on work. Ready to schedule your professional janitorial services? We’re ready to provide them. 1st Call Cleaning Services consists of an experienced team of professional cleaners capable of handling all of your commercial cleaning needs. We take tremendous pride in being a full-service cleaning company and a company that you can trust. Not only can you count on us to show up when we say we will, but we also never use third-party contractors, so you can rest assured that you can trust the people cleaning your facility. Call us today at 210-504-3415 to schedule your 14-Day Free Trial! With 1st Call Cleaning Services, you will never be asked to sign a contract!